Hello Friends, thank you for stopping by again! I hope you are well. 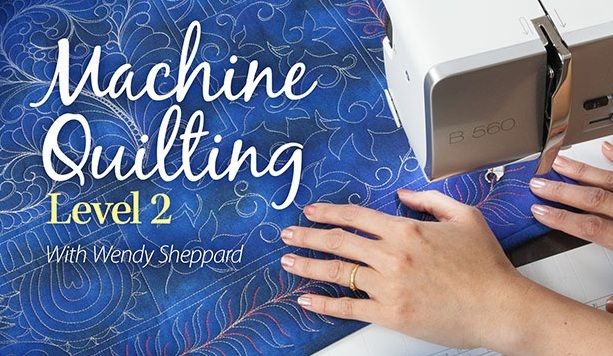 I had shared with you in detail two of the projects included in my online quilting class Machine Quilting Level 2 here and here. 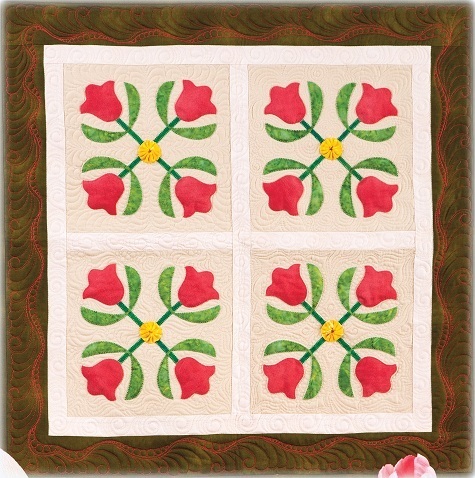 Today, I am sharing with you another project included in the class, Carolina Tulips. 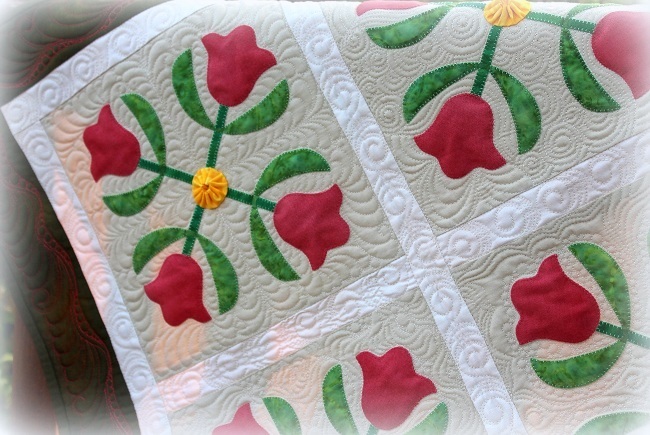 Carolina Tulips is a project specifically targeting quilting around applique blocks. 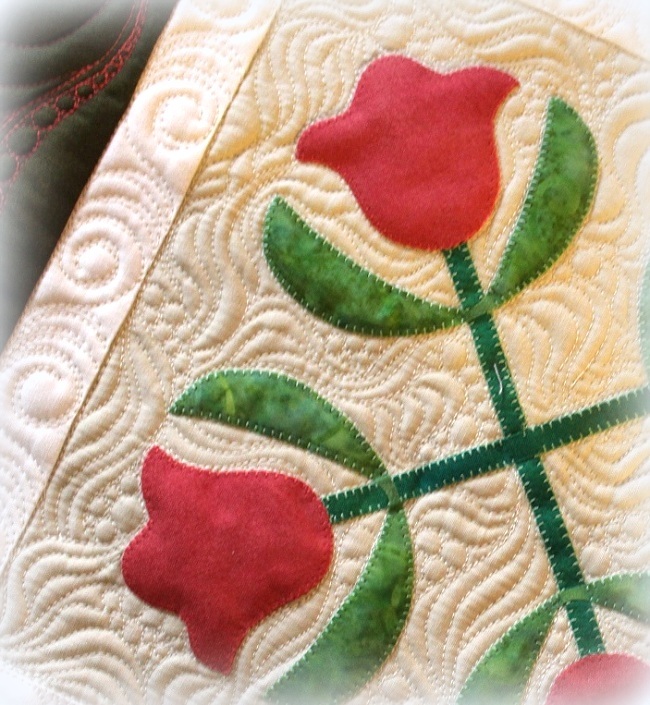 Each applique block is quilted differently using the quilting motifs covered in the class. You can see a sample of the motifs here. 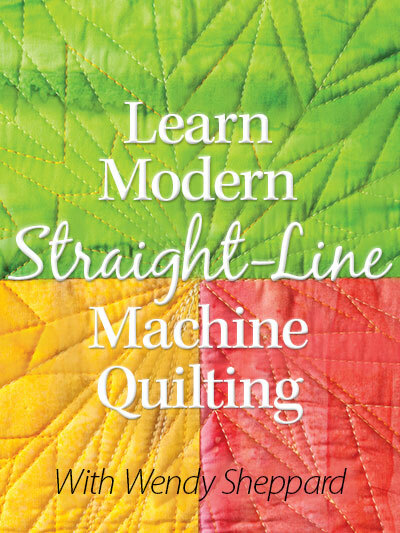 I have been asked about my quilting stitch length. I like my stitches short for a finer look. So, for the setting on my BSR (Bernina Stitch Regulator), I set my stitch length to be at anywhere between 1.6-2.0 depending on what I am quilting. Naturally, if the curves are tight, I would stitch tight. Because of the tight stitches I do, I like to quilt with finer threads (silk, and almost exclusively Aurifil Mako 50 cotton). 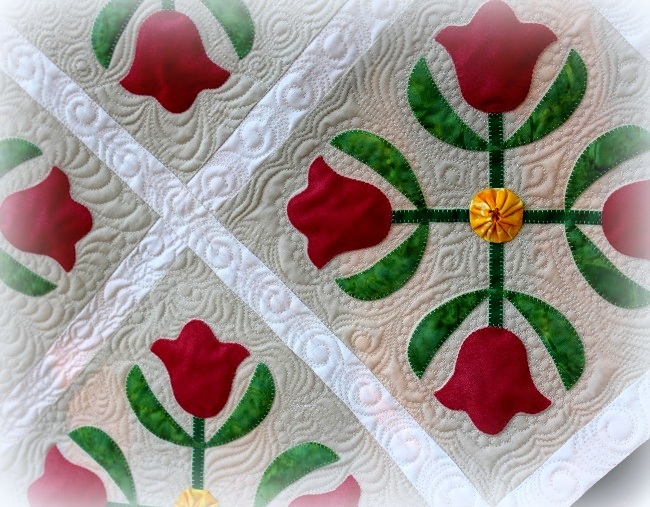 It is my aim to give quilters some fun ideas on how to quilt their applique quilts through Carolina Tulips. You may click here to sign up for the class. This online class (available for PC and Tablets), once purchased, is yours to keep indefinitely. And if you ever run into a problem, it’s easy to contact me with your questions through the “Ask The Instructor” option. I will do my best to help you over the hump. 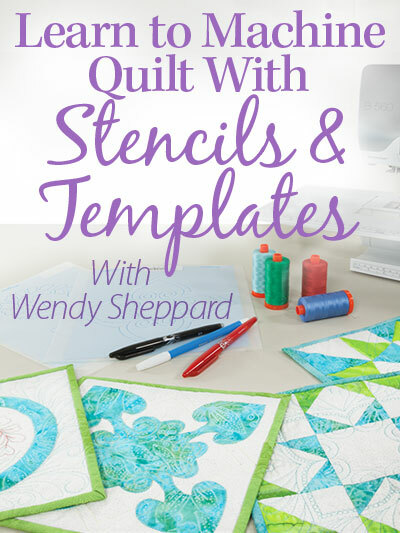 You may also click here to purchase the DVD if doing an online class isn’t your thing. 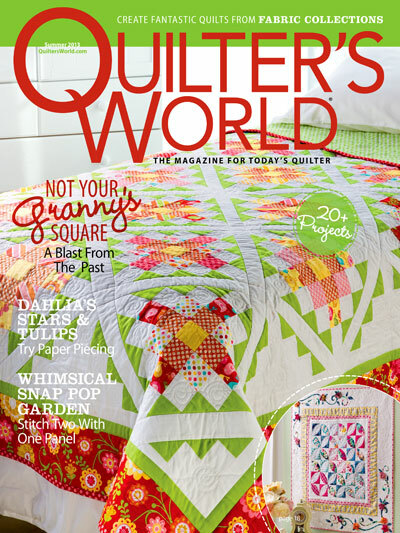 I am honored that I am able to be a part of your quilting journey, and be your quilting friend! I hope you have enjoyed our visit today…. tootles for now! I shall check in with you again soon. 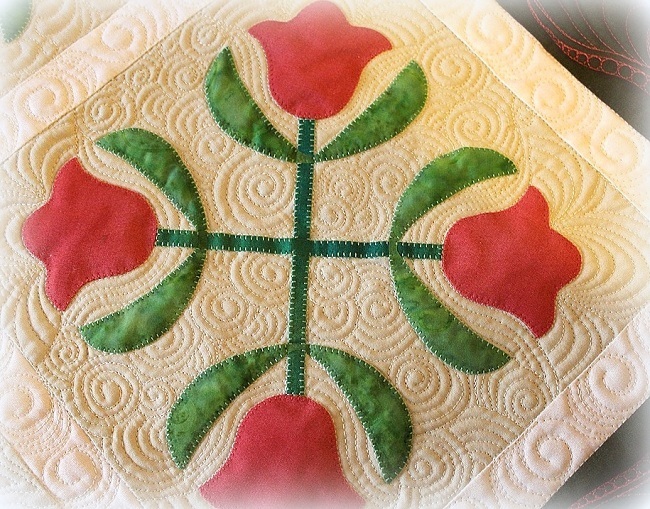 This entry was posted in Quilting and tagged Domestic Machine Quilting with Wendy Sheppard, Free-motion quilting, Intermediate Machine Quilting, Machine Quilting Level 2, Online Machine Quilting Class, Quilting Class, Quilting DVD, Quilting Instructions, Quilting motifs. Bookmark the permalink. 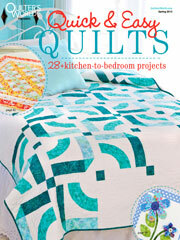 Absolutely gorgeous quilt and quilting. 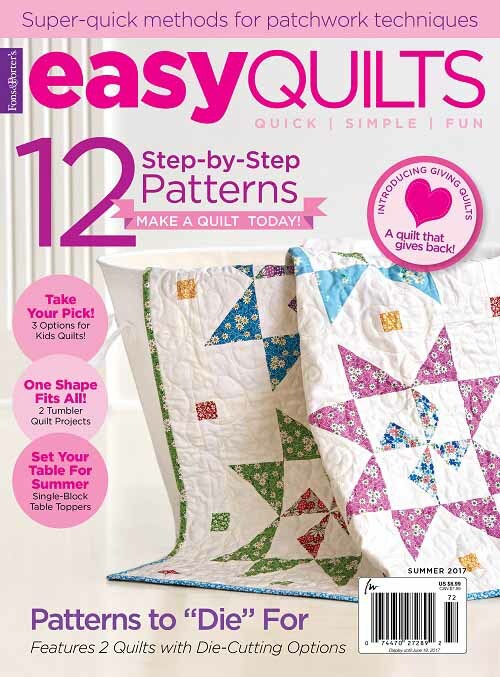 Any quilter that can take a class with you would be a lucky quilter and have fun learning from you. I know I’ve learned a lot from you and definitely had fun and found great inspiration. 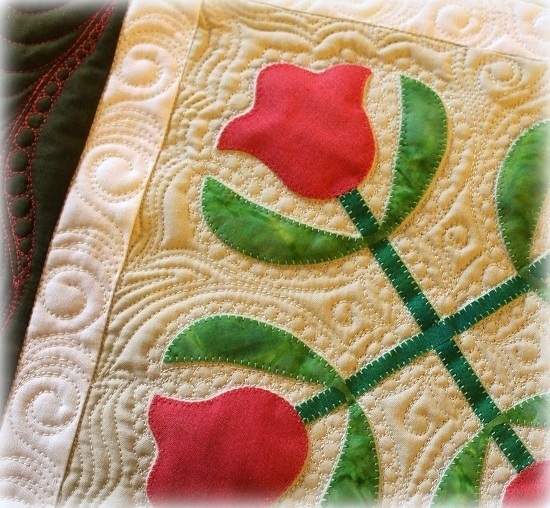 The different quilting techniques stitched around the appliqués are beautiful. 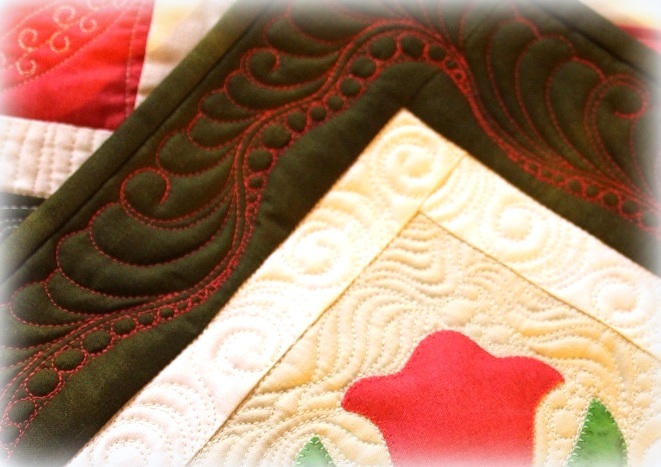 So interesting to see how different quilting makes each block unique. Beautiful quilt in its entirety. Thanks for the inspiration, thanks for the teaser. 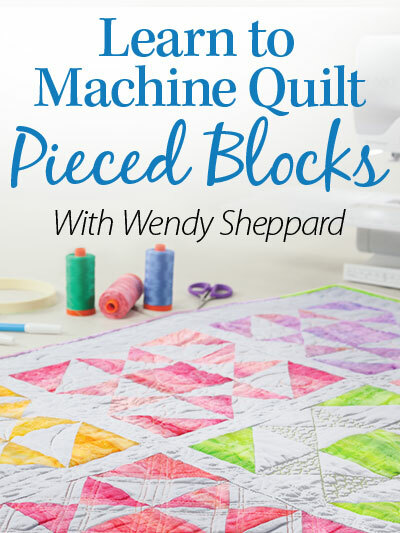 Will this lesson work with a midarm machine, or is it just for domestic machines? That has always been one of my fave patterns and your rendition is so wonderful!! Total inspiration for sure!!!!! 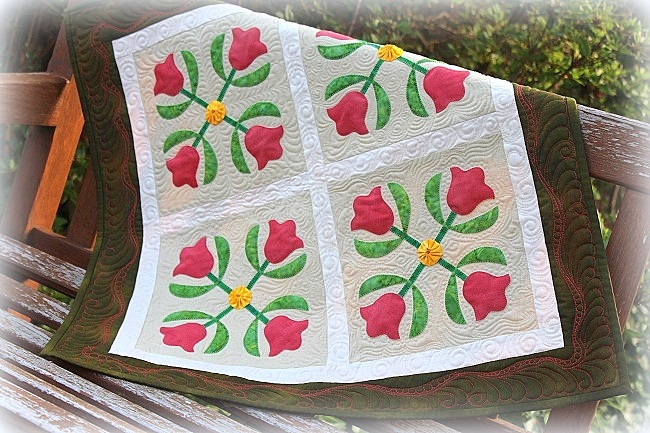 The entire quilt is just gorgeous!